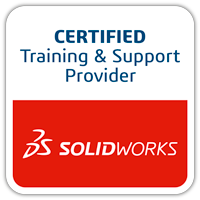 SOLIDWORKS 3D CAD software gives designers and engineers powerful tools to speed the development of design variants and automate repetitive design tasks, accelerating the design process, saving time and development costs, and increasing productivity. The obvious reason why automation is important is to save time, to use an old cliche, time is money. So to reduce the time it takes doing repetitive tasks means you can increase your speed to market. 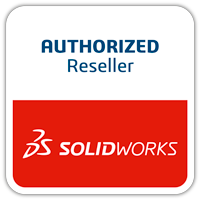 With SOLIDWORKS design teams never have to worry about going back to update documents or other models keeping them focused on the next step in the design process. SOLIDWORKS built in automation for drawing views already reduces a lot of error but by going one step further and using customised templates further error can be reduced. Every document made in SOLIDWORKS, whether it be a part assembly or a drawing starts with an empty template. Technical documentation and a clear design methodology relies on consistency throughout departments and design teams. Having saved templates for BOMs, Hole Tables and annotations ensures that, without even thinking about it, designers and engineers are working to the same standard and all their documents will follow the same style. Ensuring company standards are met and if any documentation is presented to a customer or inspected it is up to scratch. Automation is SOLIDWORKS is a huge opportunity to speed up and make your design process dynamic. From re-using design data to create new models to writing Macros and saving processes to reduce modelling time, the benefit to a company or design team is huge. Taking away the pain of 2D CAD is a big step forward to growing your business. Below is even more advantages and ways to automate your design process. This entry was posted in CCSL Blogs and tagged Design Automation, SOLIDWORKS, SOLIDWORKS Design Automation, Why Design Automation is Important.